Our time - this is the era of machines. Man does not possess sufficient muscular strength to move heavy objects, lift boulders, tons of earth removed from the rocks.But we have the mind a long time ago and was used for heavy work assistants or various devices. In ancient times it was a variety of hobbies and simple tools: levers, blocks, winches. As time went on, progress is not standing still. Restless human mind able to "tame" the forces of nature such as water, steam and electricity. People have learned to create huge mechanisms that perform for us the most difficult and dangerous work. The size of some of them, indeed, impressive. 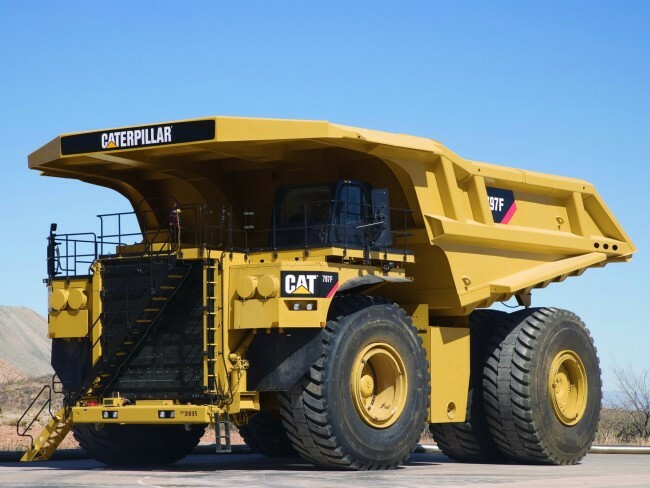 We have prepared for you a list that included the largest machine in the world. To remove dirt that is removed from the ground mining machines of similar size, needs an appropriate dump. And he, of course, there is. 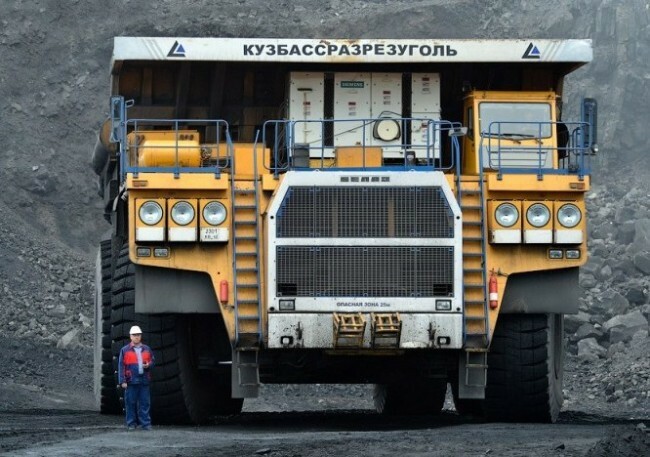 It may be added that all trucks that are used in mining, is a tremendous size. 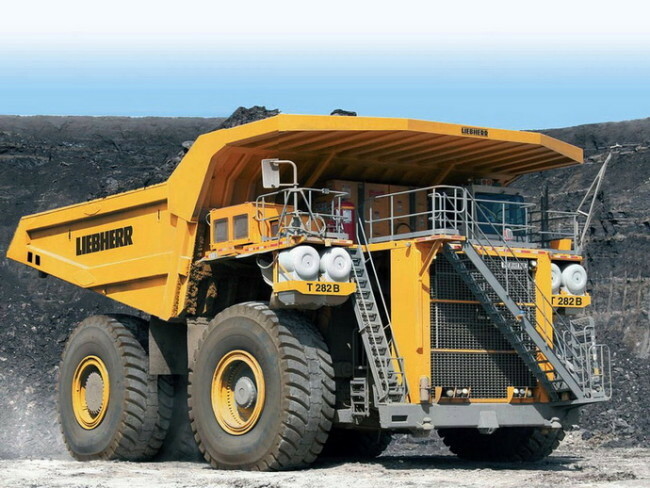 One of the biggest is considered dumper Liebherr T282B. Its length is 14.5 meters, height - 7.4 meters and width - 9 meters. This monster weighs 232 tons and translated at a time he is capable of 363 tons of cargo. Engine power of this giant of 3650 horsepower. Hit the wheel of this car - they are simply enormous. It is worth noting that the wheels are always in short supply - they simply do not have time to make. 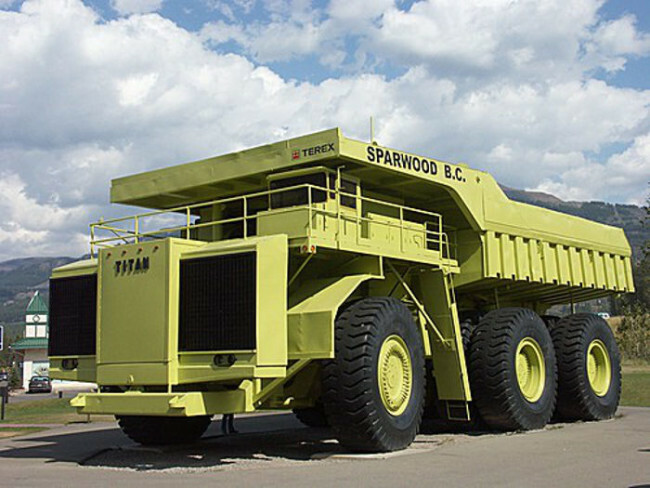 Another giant truck which is used to work in the quarries. He is the second in the world in its capacity. For once this giant can convert 345 tons of cargo. These machines are used in the iron, coal, copper and gold mines. Their owners have long felt that much better to have a big car than a few small. Another truck, which was built to work in mines and quarries. It was produced in a single copy in the plant of General Motors in 1973, and at one time it was the largest truck in the world. 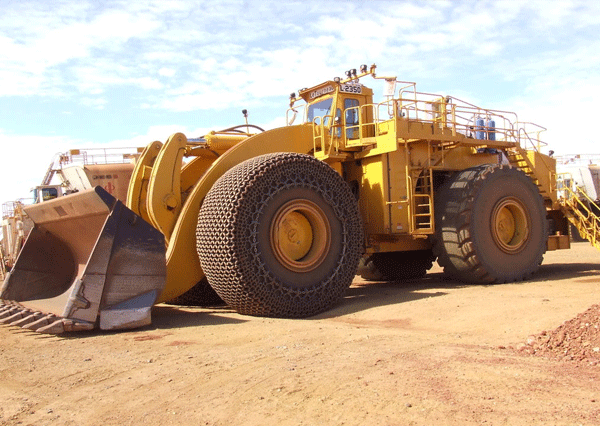 This machine can be transported at one time up to 350 tons of cargo. Now the giant has already retired and is a landmark of one of the museums. 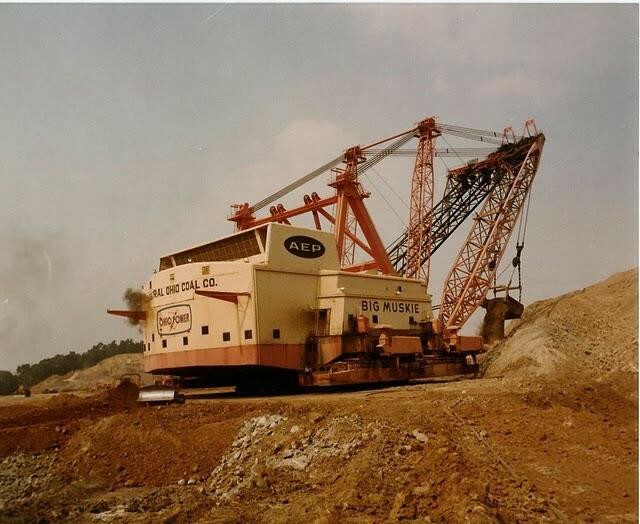 Another giant machine that works in quarries and coal mines. The height of the truck exceeds the height of a three-storey house. For once, he can carry 320 tons of cargo. The noise of the motor truck is so strong that the people working in it only in special headphones. Tank capacity - more than 4300 liters. Cranes on the base car is very comfortable. They are mobile and can be delivered to any place in a very short period of time. They have one drawback - they are rather small capacity. German engineers decided to remedy this situation and create a real monster: Mammoth crane LTM. 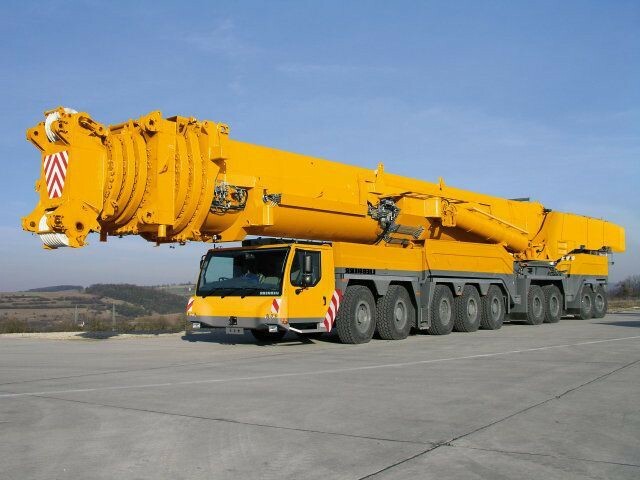 It is the largest wheeled crane in the world. This car nine pairs of wheels. It is capable of lifting 1,200 tons to a height of 180 meters. The car has a hydraulic support, on which it relies in its work. Preparing to use takes eight hours. 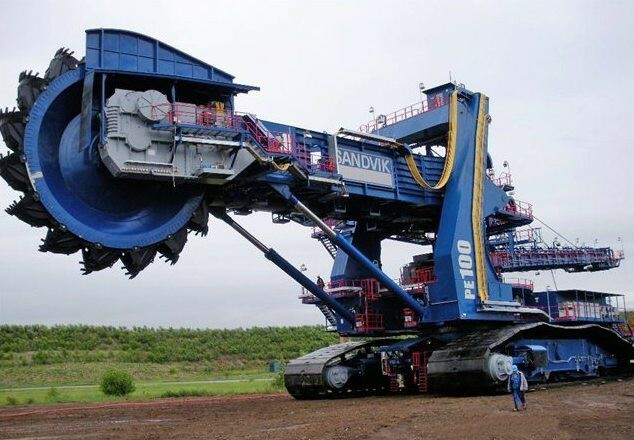 It is considered the largest machine in the world. It was created in a single copy, and is currently working in the Canadian province of Saskatchewan. This machine is used for the extraction of coal to provide electricity to one of the cities. Coal is mined in a quarry and coal seam at a depth of more than thirty meters. The challenge of Goliath to reach coal and get it. The height of the excavator is 65 meters, it has a boom length of 122 meters, and the bucket weighs 250 tons. This excavator is able to move on their own, though not very fast. It moves with the help of special ski that it rearranges one after another. The rate of this movement is 320 meters per hour. Operate the machine only two people, but for his service needed a whole team of mechanics. During one shift, this excavator can take out of the land of 48 thousand tons of soil.